It’s become a bit of trivia among “Star Wars” fans that creator George Lucas allegedly took inspiration from both the term jidai geki (historical drama) when creating the word “jedi” and Akira Kurosawa’s film “The Hidden Fortress.” Those aren’t the only Japanese references in the series; from Darth Vader’s yoroi-inspired helmet to Obi-Wan Kenobi’s Toshiro Mifune-esque samurai robes, the Japanese influence on “Star Wars” is undeniable. 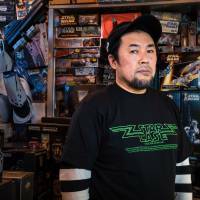 And so like everywhere else, anticipation in Japan for “Star Wars: The Force Awakens,” the seventh and latest installment of the massively popular space opera series, is high. While Lucas is not involved in this latest episode (Disney acquired Lucasfilm in 2012 and will be producing all future installments), that hasn’t deterred the excitement of fans. 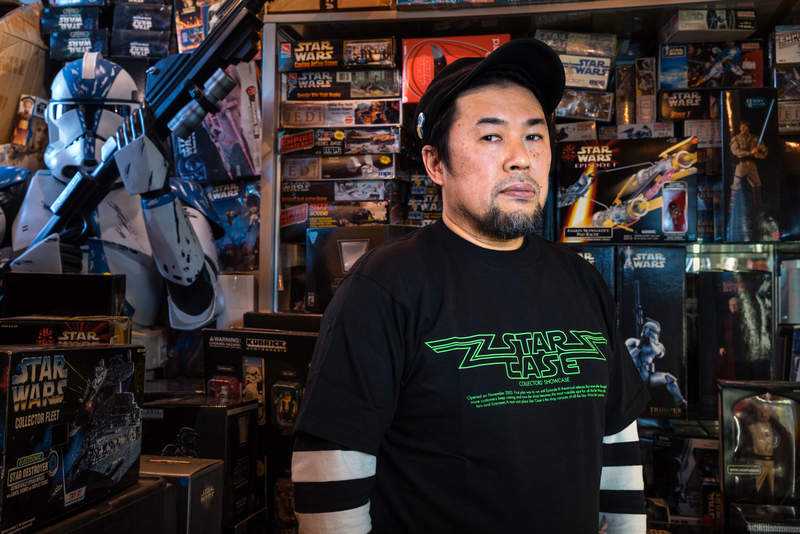 At Star Case, vintage figures, props and other memorabilia are lovingly displayed. The store is a paradise for dedicated followers of the Force. Even “The Force Awakens” director J.J. Abrams visited the store while doing a press tour for his film “Cloverfield” back in 2008, a visit for which Katagiri served in hindsight as a sort of premonition. Perhaps the most prized item in the store is a banner for the original 1977 “Star Wars,” which was one of the first promotional materials ever made for the film. The franchise has come a long way since that banner, and now it seems like everyone wants a piece of “Star Wars” pie, with merchandise flooding the streets of Tokyo leading up to the film’s release. Katagiri, however, says that he expects sales to go up after the film is released, when the real fervor begins. The last trilogy of “Star Wars” films, which dealt with the backstory of how hero Anakin Skywalker became the villainous Darth Vader, grossed approximately ¥317 million in box-office sales in Japan alone. Unlike those films, which had a predetermined ending, “The Force Awakens” will be charting completely new ground. Katagiri says his expectations for the film are through the roof.